David P. Miller’s chapbook The Afterimages was published in 2014 by Červená Barva Press. 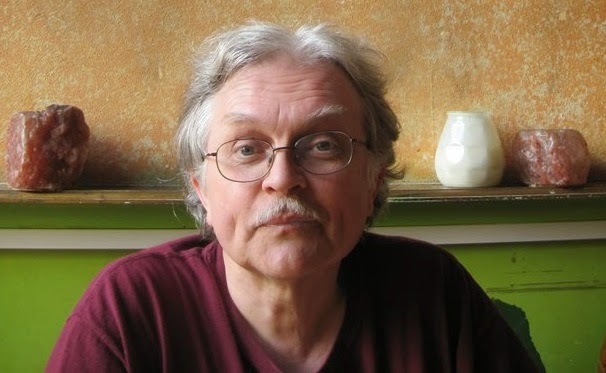 His poems have appeared in print in Meat for Tea, Stone Soup Presents Fresh Broth, Ibbetson Street, Stone’s Throw, and the 2014 Bagel Bards Anthology, and online in Muddy River Poetry Review, Wilderness House Literary Review, Oddball Magazine, and the Boston and Beyond Poetry Blog. His “micro-chapbooks” are available from the Origami Poems Project website. Miller is a librarian at Curry College in Milton, Mass. An elderly workingman models the saint. from the part at his crown has much black. points toward his bare chest. 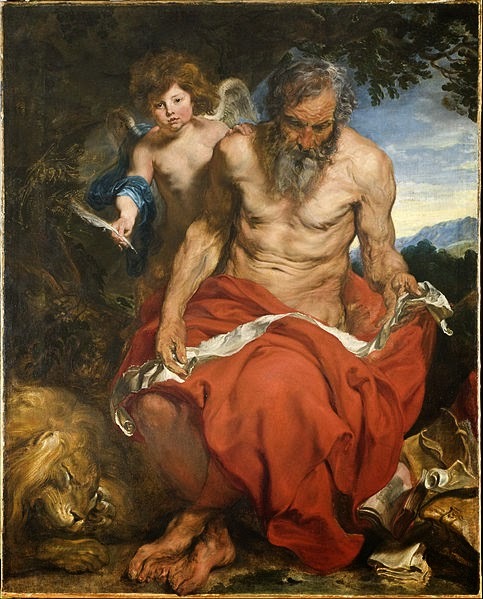 Saint Jerome with the arms of a stonecutter. to the ground at the feet of the model. with bare hints of fold or sag. face curled into its paws. the grove where the saint wrinkles his forehead. The unwritten poised on his lap. as his angel awaits with the pen. 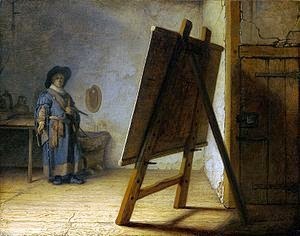 all Rembrandt gives us to see. his back at the shadowed wall. on this luminous thing in his studio. We see no afternoon window.